This model is the Metosul Rolls Royce Silver Ghost (1907) in Very Dark Blue. It was packed originally in a yellow Metosul window box. It is believed by many that this model uses the same dies used by Lesney for their Rolls Royce Silver Ghost (Y10-3). 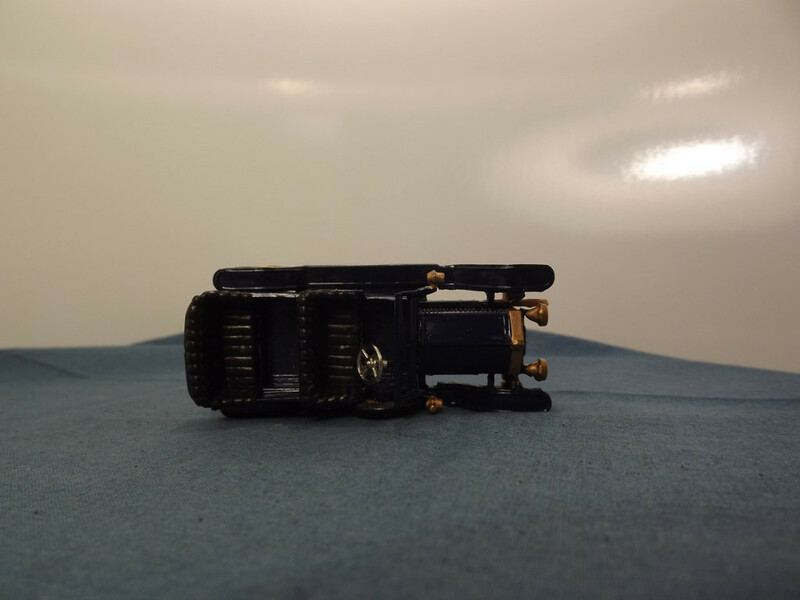 Metosul are believed to have obtained the dies from Lesney and released this model in 1968 in a range of normal colours and fully enclosed boxes. It was later re-issued in 1980 in vivid white, metallic steel blue and this very dark blue in its new yellow window boxes. 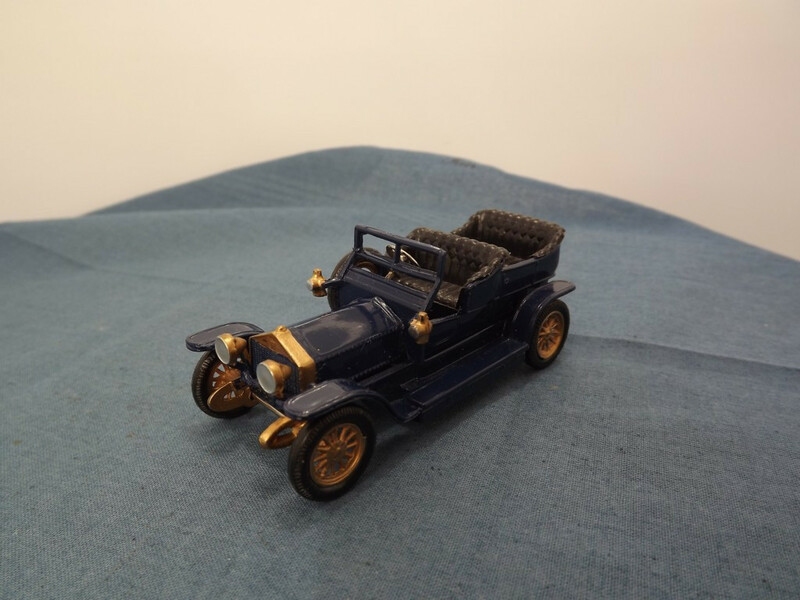 The model has a Very Dark Blue body, chassis, running boards and wheel arches. The trim is gold paint with silver paint used for the light lenses. The steering wheel is chromed metal and the seats are black plastic. The numberplate reads "M1966" which is probably the year Metosul obtained and modified the dies. 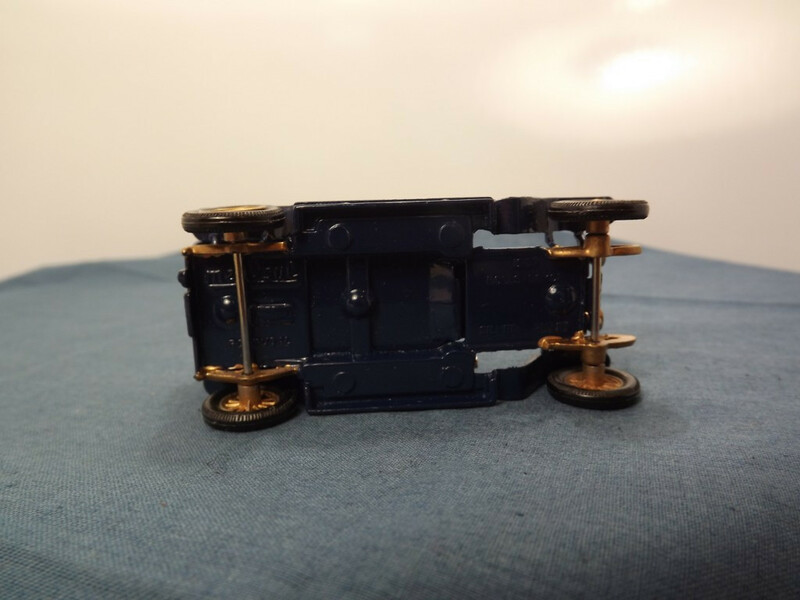 Other Comments/Identifying Features: The model has the Lesney type "A" rear panel casting and the Lesney type "B" front springs with cast webs. Both front and rear springs have been picked out in gold paint which looks to have been applied by hand. The baseplate has been modified to suit the change to show the Metosul name and country of origin, "Portugal". It also appears to have had the middle section cut out and is held in place with three rivets. Issued 1980 approximately, with a scale of 1:51. 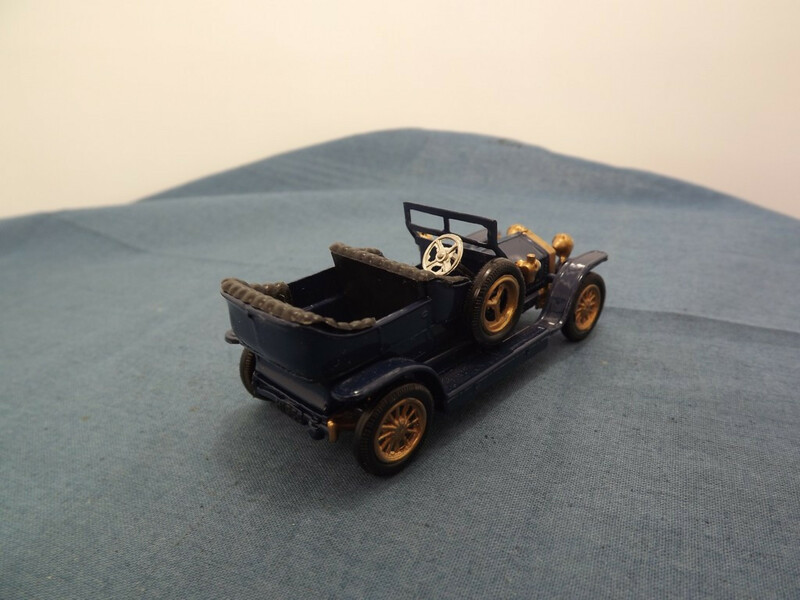 This model is the Metosul Rolls Royce Silver Ghost (1907) in Vivid White. It comes packed in its original yellow Metosul window box. 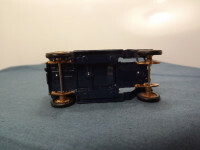 It is believed by many that this model uses the same dies used by Lesney for their Rolls Royce Silver Ghost (Y10-3). Metosul are believed to have obtained the dies from Lesney and released this model in 1968 in a range of normal colours and fully enclosed boxes. It was later re-issued in 1980 in very dark blue, metallic steel blue and this vivid white in its new yellow window boxes. The model has a Vivid White body, chassis, running boards and wheel arches. The trim is gold paint with silver paint used for the light lenses. The steering wheel is chromed metal and the seats are black plastic. The numberplate reads "M1966" which is probably the year Metosul obtained and modified the dies.